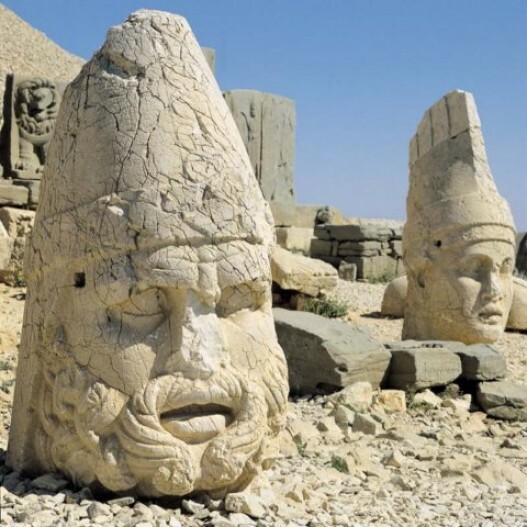 We drive to south east, the first high mountain to be seen is the picturesque Mount Nemrut, with the mausoleum of the Commagene King Antiochus at its 2150 meters peak. 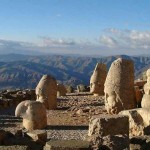 After we have lunch at a local restaurant by the Ataturk Dam Lake, drive up to Mt Nemrut. On the summit of Mt Nemrut, sits the gigantic funerary sanctuary erected in the first century BC by King Antiochos I of Commagene. The engineering involved continues to amaze visitors seeing for the first time the artificial tumulus as it is flanked by terraces, on which rest the colossal statues of Apollo, Zeus, Hercules, Thyce and Antiochus. 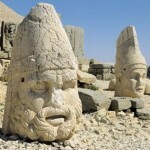 Mount Nemrut is on the UNESCO list of World Cultural Heritage Sites. 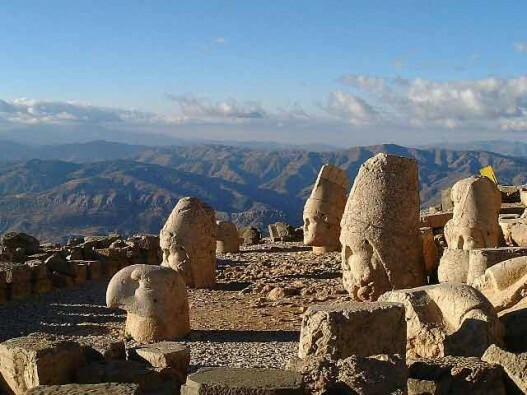 Watch the spectacular sunset on Mt Nemrut.